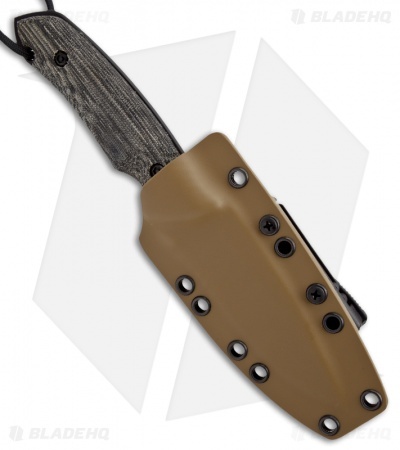 The Attleboro Battle Knife is a combat utility knife that was designed by retired Special Forces operators. It honors the SF soldiers who fought and died during the Attleboro operation. In particular, Master Sergeant William B. Hunt's heroic actions saved several lives, while in the process causing his wounding and then his loss. 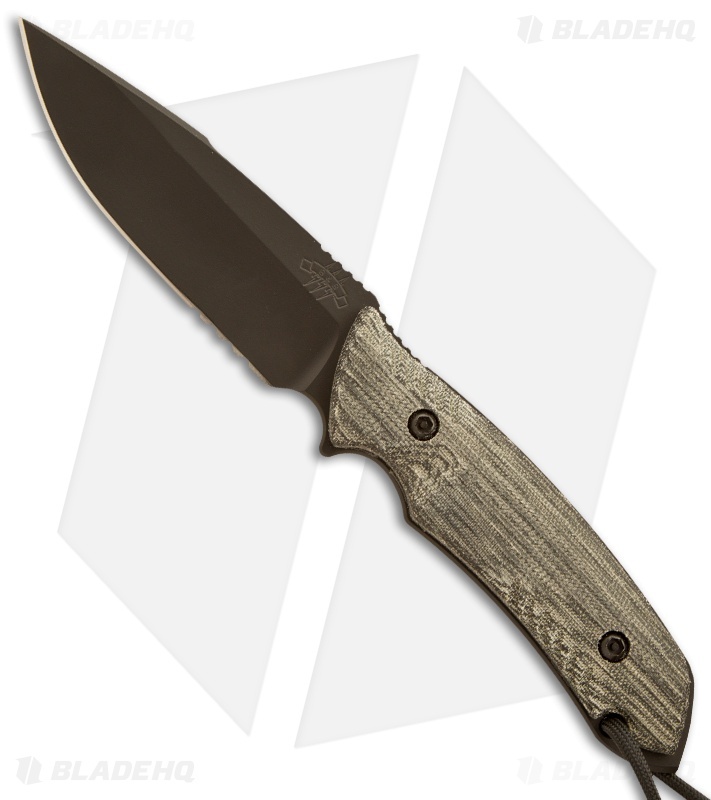 It features a blade Cerakote finished S35VN steel blade with slanted serrations for better cutting performance. The handle is outfitted with tan canvas micarta scales with machined grooves for added grip. Includes a fitted desert tan Kydex sheath with belt attachment system.